Let’s say you want to start taking yoga classes, but you’re not sure where to go. Do you want an intimate studio or a large gym? Is your best option closer to your job or closer to your home? These are questions that factor into the decision-making process. After you’ve researched a few places, you now have a list of names that you can begin to work with. You’re ready to start sifting through the list, so where is the first place you go? Chances are, you immediately Google the names and check out their customer reviews. Just like the aforementioned questions, the habit of checking customer reviews has become a major part of consumer shopper behaviors. We’re living in a time where online reviews are the go-to source of information for potential customers and patrons. Online reviews can make or break your business, whether you realize it or not. While we all strive for the perfect 5-star reviews on sites such as Yelp and Trip Advisor, the fact of the matter is that we just can’t please everyone. There will be times where the occasional customer didn’t like their wait time or was not happy with the quality of work and customer service that you put forth. The displeasure of these customers will often manifest in the form of a negative online review. If there’s one thing we know about the Internet, it’s that everything on there is forever, and that includes negative reviews. So, how do we combat negative reviews in an effort to no longer scare off potential clients? Here’s what you can do. Every customer review isn’t going to be a glowing example of how well you do business. Every customer review isn’t going to directly address what you need to fix, either. 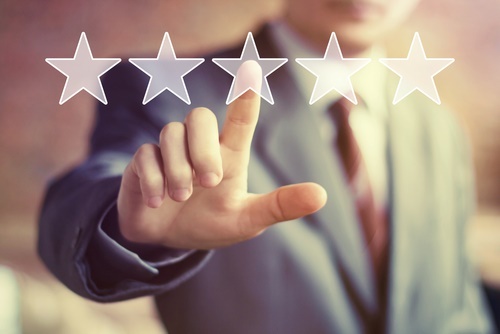 In many instances, customer reviews are sometimes not beneficial for you as the business owner, but more so beneficial for other potential customers. However, you can still sort through the comments for useful information for your strategy team. If you notice that a number of customers are having issues with a particular service, employee, or part of your business, that complaint warrants addressing. Look for patterns between reviews to help you address what to improve your business. It could be as easy as installing a business booking system to remediate scheduling issues. The timing of your response is just as important as the content of your response. You want to make sure that you address the key points of the complaint in a timely and succinct manner. Regularly monitor your alerts and notifications to see where and when people are writing reviews. According to a study done by Convince & Convert, 42% of consumers who have gone through with leaving a review expect a response to their comment within an hour of its posting. Can you handle that kind of turn around? In order to qualm any current issues and prevent any new issues from arising, developing a strategy and response plan to negative reviews can make this easier. Sometimes, the best course of action isn’t going to involve addressing the problem online. Many consumers make public reviews for the attention that they know it will bring. An initial negative review on a public platform often creates a faster response than one in a private email or consumer complaint hotline. In this case, addressing the issue online isn’t the best course of action. It’s ok to offer that the issue be handled through a more private and secure channel, such as email or over the phone. This one-on-one attention directly addresses the customer’s complaint and can help retain that customer if handled properly. It’s also worth noting that, when business owners see negative comments, their first instinct is to delete the offending comment and maybe go so far as to block the user as social media sites allow. In many cases, this is not the best course of action. Simply deleting the comment does not address the issues that the customer has. Instead, you are stifling their voice and making it clear to them and anyone watching that you care more about your reputation than about the needs of your customer base. There may be instances where deleting the comment is a suitable response, but that judgment call must be made carefully and agreed upon by all decision makers. Business is business. When it comes to negative reviews, you have to keep in mind that you can’t take it personally. If you take one online review personal, you’ll never bounce back. Negative reviews don’t detract from your value as a business, it’s your response to the negative review that does.